 In accordance with Federal Pipeline Safety Regulations 49 CFR, Part 192.16, The Energy Cooperative (TEC) is required to inform members that the member shall be responsible for their gas service lines. The member is responsible for the maintenance and repair of all gas piping from the gas meter to all gas appliances. The member is responsible for the repair/replacement of the gas service line located on the member’s property from the buried curb valve to the inlet of the gas meter. Buried gas piping that is not maintained may be subject to the potential hazards of corrosion and leakage. For your safety, all buried pipe should be periodically inspected for leaks. If the buried piping is metallic, it should also be periodically inspected for corrosion. If an unsafe condition is found, the gas piping will need to be promptly repaired. When digging near buried gas piping, the piping should be located in advance and the excavation done by hand. As a reminder, any time a member is excavating, Ohio 811 should be called by simply dialing 811 or 1-800-362-2764 at least 48 hours prior to digging. Ohio 811 will notify various utility companies to locate utilities lines in the area. Plumbing and heating contractors can assist in locating, inspecting, and repairing the member’s buried piping. The Federal Department of Transportation (DOT) requires that a DOT-qualified plumbing contractor must be used to repair or replace a member’s buried piping upstream of the meter, including the gas riser attached to the meter set. While this is not required for piping downstream of the meter, TEC strongly recommends a DOT-qualified plumber be used for all buried gas piping. For further information, please call our Member Service Department at (800) 255-6815.